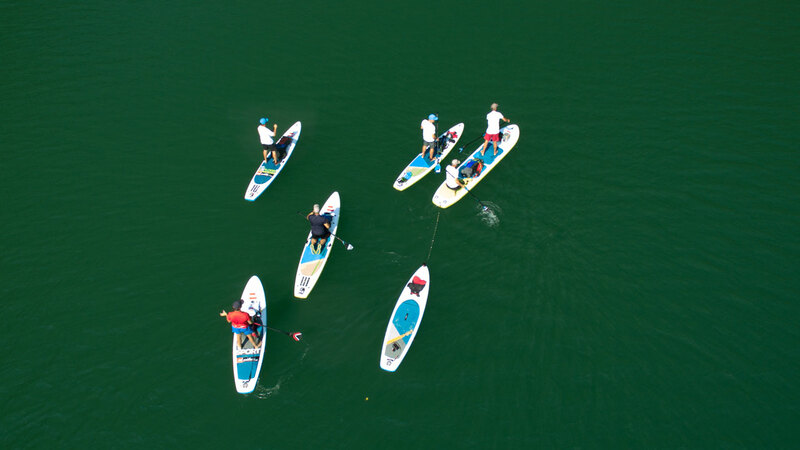 Belgrade SUP Club was founded in Belgrade with the aim of promoting Stand up paddleboarding (SUP) in Serbia and the region. Stand up paddleboarding or surfing is a type of adrenaline sport where, unlike traditional surfing, the rider stands on the board and uses a paddle to get around. It was invented in Africa but it gained popularity on the Hawaiian Islands. Recently it has become widely popular across Europe and the rest of the world. 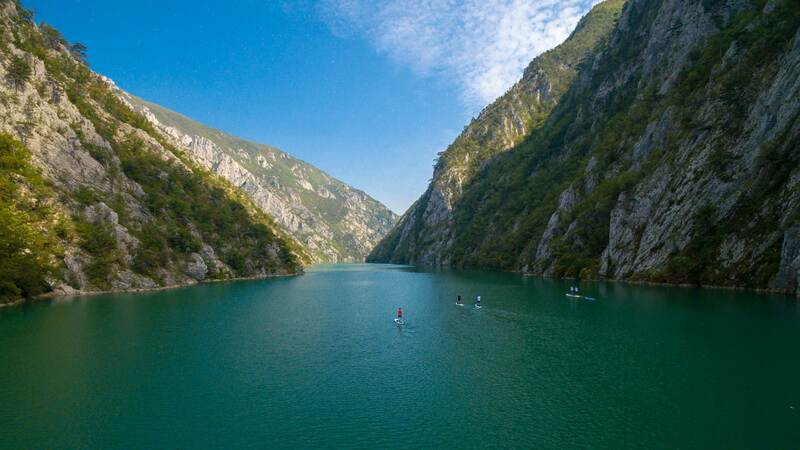 Numerous lakes and rivers in Serbia create great potential for practicing stand up paddle boarding in the country. Belgrade SUP Club is located at Ada Ciganlija (on the Sava side). The Club will provide training courses, board rental opportunites. It can order SUP equipment and accessories from various manufacturers for you. It is your way of getting in touch with international race organizers and international SUP clubs. Once you finish SUP school we will provide you with an ISA Certificate. You can also book amazing tours and visits of beautiful sights while paddeling on your SUP board both in lakes and rivers in Serbia and Montenegro. SUP tour #1 includes a three-hour visit to Ada Međica, a small island in the river Sava just on the outskirts of Belgrade. Enjoy the view of the rich forests on this island and on Ada Ciganlija, as well the unique tour of holiday residences located there. Unrivalled experience for all nature lovers out there! SUP tour #2 sets off from the famous Belgrade picnic spot Ada Ciganlija. Paddle down the river Sava until you reach the downtown area and the confluence of the Sava into the Danube, along Belgarde fortress Kalemegdan and Belgrade Waterfront neighbourhood, passing under five bridges on your way. This is a one of a kind opportunity to see Belgrade from a different perspective! SUP tour #3 is our longest tour. Paddle down the river Sava for 22 km, starting from Belgrade suburban area called Ostružnica all the way down to the Kalemegdan fortress. Enjoy the beautiful view while you paddle along the famous rafts and tiny floating houses. This tour is for more daring thrill seekers! If you would like to paddle out side of Belgrade, keep in mind that we organize tours on the river Drina and on lake Perućac in collaboration with Green Bear. Visit Dragon World Series and creat your own SUP team. Belgrade SUP Club is the exclusive distributor of Red Paddle boards for Serbia and Montenegro. These board are award winning and renowned the world over.